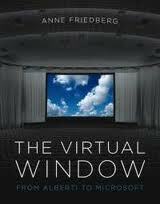 A favourite book of mine on the topic of “virtual” is Anne Friedberg‘s “The Virtual Window – from Alberti to Microsoft” in which she explores the window as metaphor, as architectural component, and as an opening to dematerialized reality. In the first chapter, Friedberg sets out to define “virtual” because “in the glare of a jargon-ridden present, the term “virtual” may have lost its descriptive power”, and she hopes “to reclaim its considerable utility for making distinctions about the ontological status – and materiality – of an object” (Friedberg, 2006, p. 7). The virtual is a substitute – “acting without agency of the matter” – an immaterial proxy for the material. “Virtual” refers to the register of representation itself – but representation can be either simulacral (with no referent in the real) or mimetic. The term “original” and “copy” do not apply, because virtuality does not imply direct mimesis, but a transfer – more like a metaphor – from one plane of meaning to another. A “virtual” object has a materiality and a reality but of a different kind, a second-order materiality, liminally immaterial. It’s important to notice that Friedberg mentions different production forms, which of course highlights her point that “virtual” doesn’t apply to technology mediated objects and experiences only. In the inaugural 2008 issue of The Journal of Virtual Worlds Research, which also includes reprints of earlier writings considered seminal to the field, six of 17 papers offer explicit attempts to define “virtual worlds”, and at least two of the authors (Bittarello & Damer) also consider literary worlds (i.e. The Garden of Eden and Dante’s Inferno) to be “virtual worlds”. Through this definition, the only thing we learn about “virtual worlds” is that they are of a different materiality than the ones they represent. And from this follows that if we want to know more about a particular “virtual world”, we need to add more to the definiendum i.e. 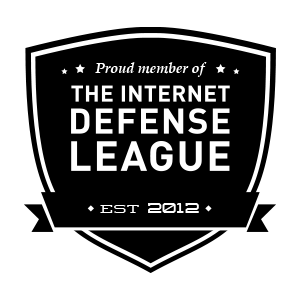 3D, computer-based, social etc. I’m considering whether or not to include something about production/media forms – cf. Friedberg’s definition. I’m wondering if a representation has “no referent in the real” is it then possible to talk about “the same materiality of what it represents”? Some “virtual worlds” are purely imaginary worlds that don’t exist in the real, do they then have a materiality, do they re-present? Inspired by Friedberg’s account of Alberti, I’ve previously written about the window metaphor in SL in relation to remediation. Even though my PhD-research has focused exclusively on Second Life, I will in one of my theoretical chapters examine the concept and evolution of Virtual Worlds in general. As a prelude to a discussion of several Virtual World definitions and typologies, I have chosen to look closer at what two prominent figures within the field have to say about Virtual Worlds. Richard A. Bartle (co-creator of MUD1, which by many is considered the first computer-based (albeit text only) Virtual World) and Cory Ondrejka (co-creator of Second Life) both agree that Virtual Worlds are not games. However, what’s interesting is that Bartle and Ondrejka seem to reach this conclusion based on very different arguments. Bartle’s need to distance himself from the game term was essentially due to a public (mis)conception of games as unserious contexts/activities and hence unworthy of serious studies. While this concern is commonly recognized and shared among several authors, it does come across as somewhat curious insofar as Bartle insists on using a gaming vocabulary and gaming principles when discussing design of Virtual Worlds. Ironically, as Bartle further notices, when Virtual Worlds became commercially successful through the advent of Massively Multi-Player Online Role-playing Games (MMORPGs), such as Ultima Online in the late 1990’s, Virtual Worlds were once again commonly referred to as games. Nonetheless, the less serious connotations related to the term game continued and in Academia, the concept of “serious games” emerged to justify the study of human behaviour in games used for purposes other than mere entertainment. The term “serious game” was actually used long before the introduction of computer and electronic devices into entertainment. Clark Abt discussed the idea and used the term in his 1970 book Serious Games, although his references were primarily to the use of board and card games. Based on Salen and Zimmerman (2003) Ondrejka defines a game as “a system in which players engage in an artificial conflict, defined by rules, that results in a quantifiable outcome” (Ondrejka, 2008, p. 231). Bartle, R.A. (2004): “Designing Virtual Worlds”. New Riders. Ondrejka, C. (2008): “Education Unleashed: Participatory Culture, Education, and Innovation in Second Life.” The Ecology of Games: Connecting Youth, Games, and Learning. Edited by Katie Salen. The John D. and Catherine T. MacArthur Foundation Series on Digital Media and Learning. Cambridge, MA: The MIT Press. p.229–252.